On my birthday last year after eating out a place in Camden Town. My friend and I decided to head to central London for desserts. 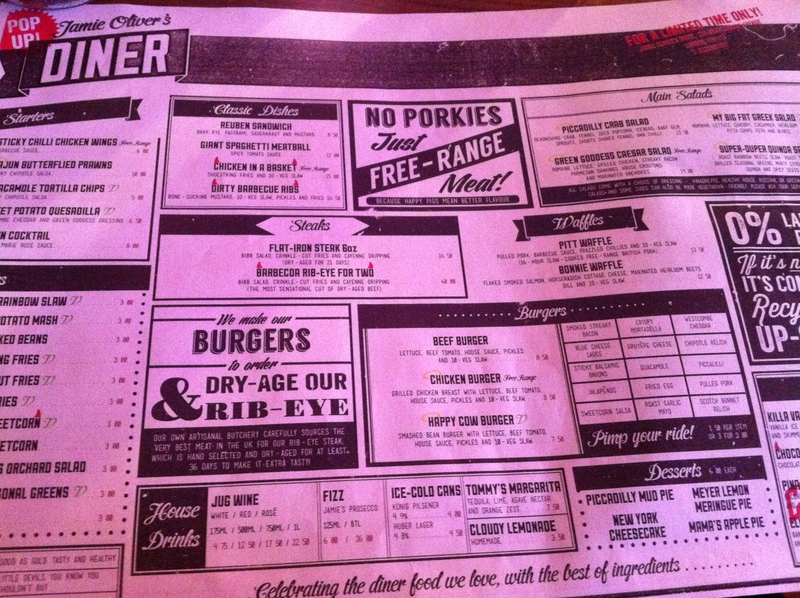 We decided to go to Jamie Oliver’s pop up diner that’s taken over Adam Ribs in Piccadilly Circus. Decked out to look like an American diner, with an army dinosaurs that can be found all over the site. At the time we were told the pop up would be around for a year, looking at reviews I can see it’s now extended for 3. My friend and I only came for the desserts all priced at £6 we were in for a treat. I opted for Mama’s apple pie. It came with a delicate flaky pastry, and dreamy air-whipped cream. 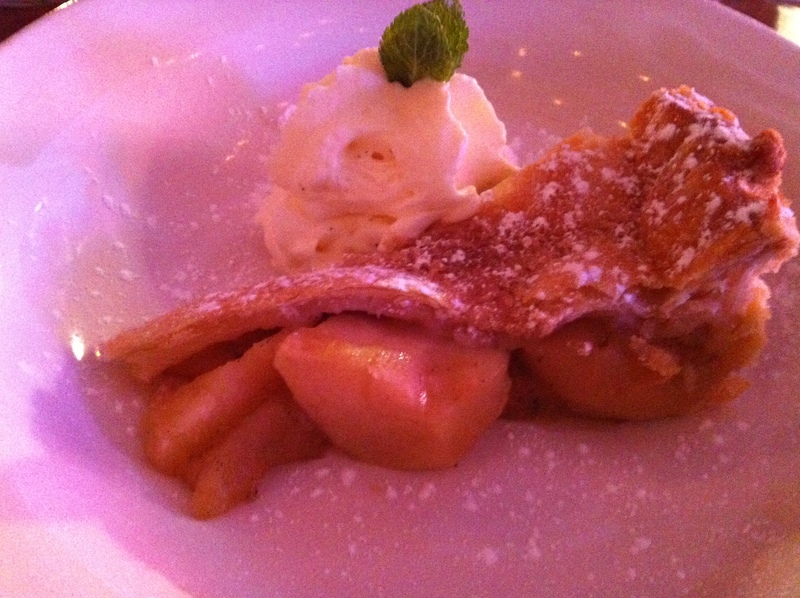 Large chunks of apples were hidden under the blanket of pastry, pure perfection. 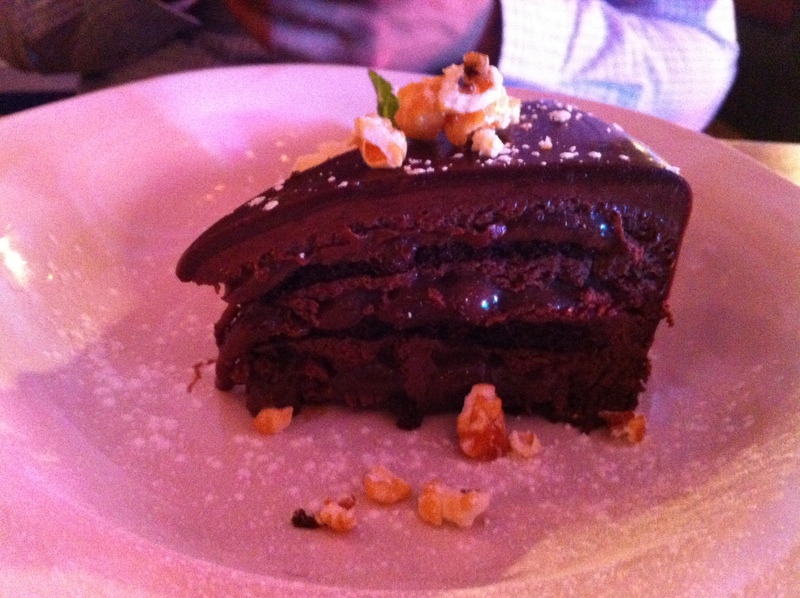 The devilishly good Piccadilly Mud pie came with layers of chocolate mousse sandwiched between a chocolate sponges. The pleasant surprised was the salted caramel with toffee popcorn. 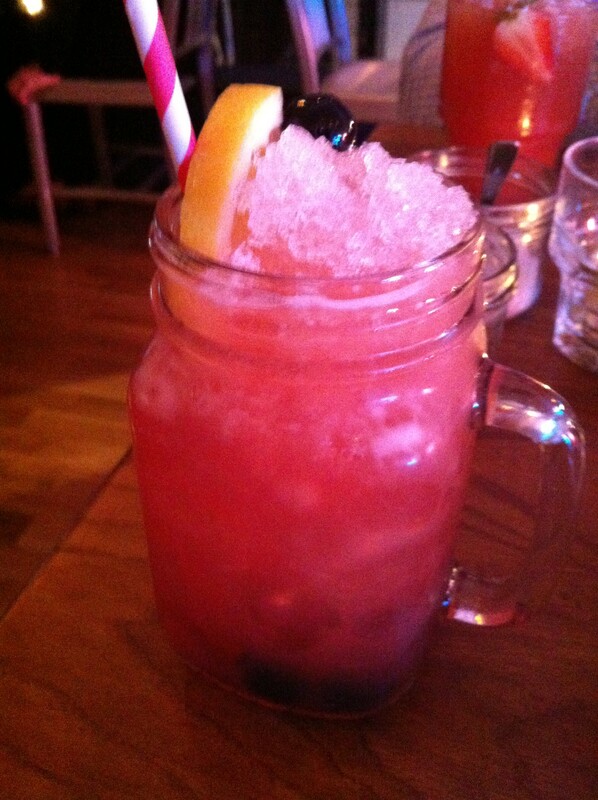 To wash down the sinfully good desserts, I had one of the cherry mashes sour. 4 rose bourbons, cherry liquor, and lemon syrup, served over crushed ice in a jam jar. Lucky for us my friend happened to work there and gave us 25% off the bill. Overall I really enjoyed the desserts and think it was good value. I have seen returned for the food and will write up another post.